The press is on for cider production in Henderson County. 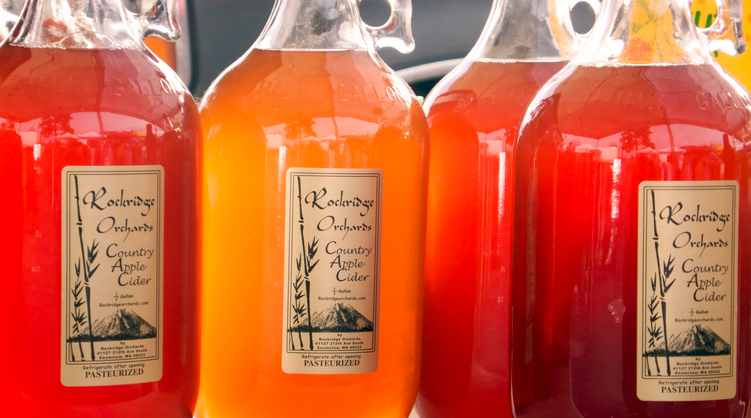 Several local entrepreneurs plan to ferment county apples into hard cider for a thirsty buying public, while other area apple growers look forward to sourcing their crop to a growing craft beverage market. 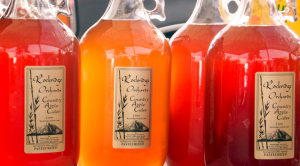 One local winery, Saint Paul Mountain Vineyard on Chestnut Gap Road, has already produced 1,000 gallons of fermented cider, using apples pressed by local farmer Wayne Barnwell. They plan to increase production to 3,000 gallons next year and hope other county growers will follow their lead, said owner Alan Ward. 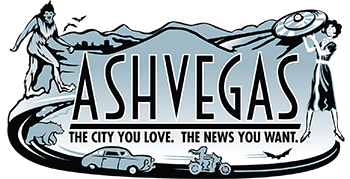 “There’s a lot of potential for people to not just jump in on the gold rush, but to make this area like Vermont, where hard ciders are made correctly,” said Ward, who sees cider-making as an important piece Henderson County’s agritourism future. As Saint Paul begins bottling their debut batch next weekend, other local growers are investigating their own hard cider operations, looking to tap into a ripening market for adult craft beverages partly brought on by Sierra Nevada and Oskar Blues brewery expansions. Three cideries are set to open in Asheville in coming months. As the story makes clear, Henderson County’s orchards aren’t well suited for cider production: most of them are devoted to sweet eating and sauce apples. Many of the cider orchards that made hard cider the drink of the American Revolution have been cut down or abandoned. So, it’ll take at least a few years to plant out orchards with cider varieties, and it’ll take apple growers willing invest in producing them, because you’re not going to make good cider from those acres of Golden and Red Delicious. “[Y]ou’re not going to make good cider from those acres of Golden and Red Delicious”. While your enthusiasm to rain on the NC cider parade is understandable, the same pabulum was spewed about NC grapes twenty years ago, which was equally wrong. I have made some sick, sick ciders out of exclusively NC apples. Certainly the tannins and acid may need adjustment; all vintners, ciderists and brewers experience the same. My suggestion is to actually taste NC cider before rendering an ignorant verdict.